July 12, 2013.- In the first half of 2013 the demand for gas in Spain has fallen 8.5% with respect to the first half of last year. This decrease is caused by a drop of 42.5% in the gas consumption for electricity generation when compared to the same period of 2012. This drop have occurred as a result of the decrease in the production of combined cycles, which in the first half of the year has been 46.1% lower on a year-on-year basis. There are several factors behind this decline in the production of combined cycles: lower electricity demand, greater contribution of the special regime technologies and greater hydroelectric production. In the first half of 2013 the electricity demand fell 3.8% compared to the same period of the previous year; in the same period the wind production increased by 20.2% with respect to the first half of year 2012, while conventional hydroelectric production recorded an increase of 119.6% on a year-on-year basis. Moreover, in the first half of this year, the conventional demand for gas in Spain, which is made up of the domestic, commercial and industrial sector, has been 1.2% higher compared to the same period of last year. 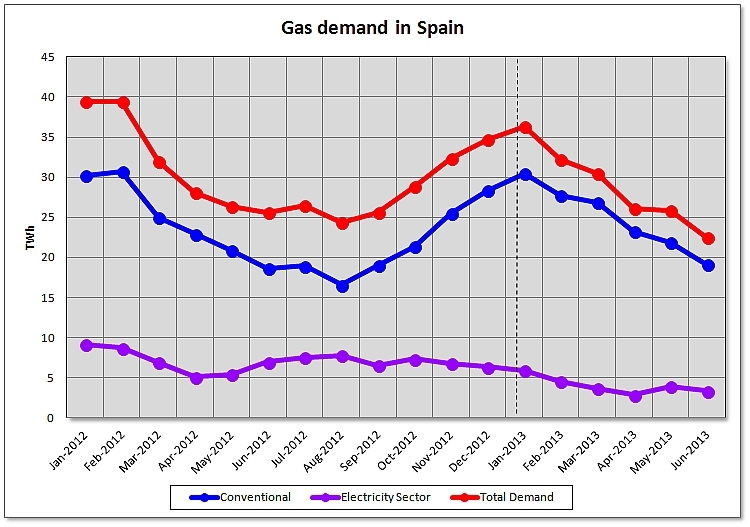 Monthly evolution of the gas demand in Spain -2012 and the first half of 2013- (TWh). 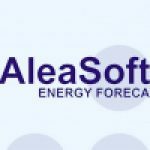 AleaSoft forecasts that the conventional demand for gas in Spain will grow 1.9% on a year-on-year basis in the second half of this year. Given this forecast, at the end of the year the conventional demand for gas will be 1.5% higher compared to the one in 2012. To make this forecast, AleaSoft have used a GDP scenario in which the Spanish economy will contract 1.3% in 2013. 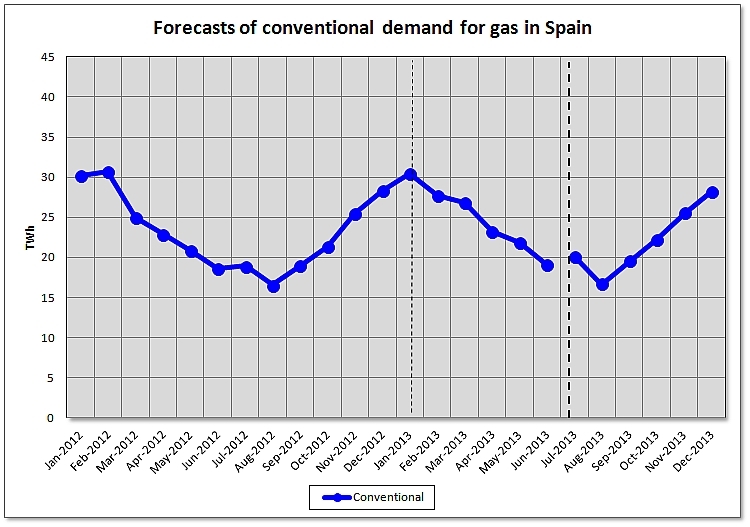 Monthly evolution of the conventional demand for gas in Spain -2012 and the first half of 2013-and forecasts for the second half of 2013 (TWh).